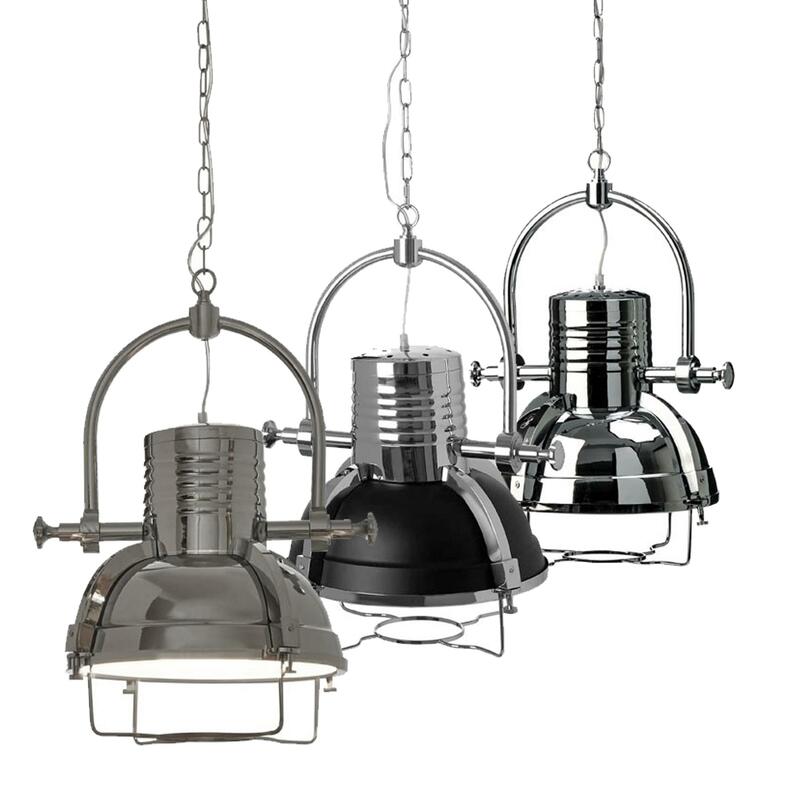 We are very proud introduce this wonderful Industrial Revolution Pendant Light. This pendant light has a gorgeous design that'll be sure to stand out and grab attention, whilst creating an industrial atmosphere in any home. This pendant light is held up by a stunning chain and has a choice of a black, silver or chrome colour which will all be certain to enhance the industrial style.